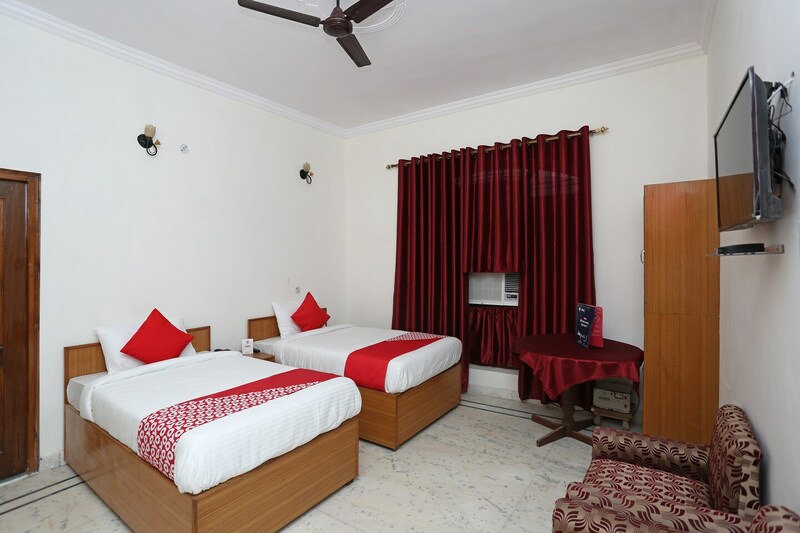 Situated near Mulayam Nagar Bazaar in Indira Nagar, Loknath Guest House is a fine place to stay while visiting Lucknow. Stay relaxed and enjoy your stay in spacious and well-lit rooms. Comfortable wooden furniture in the room ensures guests feel relaxed during their stay here. The sofa in the room can be used as extra seating space. Rooms are well-equipped with basic amenities for your comfort here. Free Wi-Fi can be used to stay connected with social media or to catch up with work. CCTV cameras are also installed across the premises for the security of your stay. Parking facility is also available for the convenience of your stay. Sunset View, Ambedkar Park, Kala Gaon, Bhole Nath Mandir and KukrailPicnic Spot are some of the attractions located at a short distance from the hotel which can be explored by guests.